Your regular routine leaving no time for a full-scale workout? A three-stage exercise circuit that will boost your metabolism and burn fat. Assume the press-up position, arms straight. Lift your right foot off the floor and raise your knee close to your chest. Touch the floor with your right foot. Return to start. Repeat with your left leg. Holding a dumbbell in one hand, lie face down on an incline bench. Pull the dumbbell toward your mid-section, keeping elbow close to your body, then lower the dumb-bell back to the start point. Lie on your back with your legs held straight. 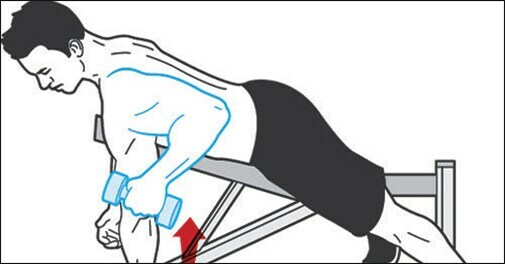 Hold a dumbbell in your left hand, with your arm straight above your chest. Stand up, keeping your elbow locked and the weight above you. Once you have done that, lie back down as you keep holding the weight above you. Switch hands and repeat the entire exercise.